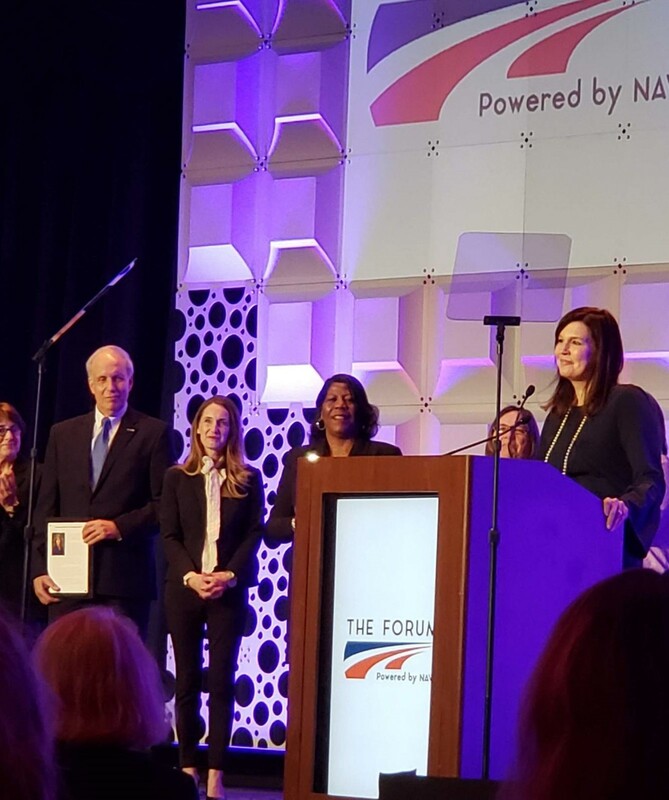 On March 23, Capital Area Workforce Development (CAWD) received the Laurie Moran Partnership Award based on the successful collaboration and partnership between the Greater Raleigh Chamber of Commerce and Wake County Economic Development. This award was delivered by the National Association of Workforce Boards at the annual conference in Washington D.C. The Laurie Moran Partnership Award is given jointly to a workforce development board and Chamber of Commerce who have demonstrated incredible partnership to advance the workforce and economic development of the local region. The 2019 nominees were the Tulsa Area Workforce Development Board, Pacific Mountain Workforce Development, and Capital Area Workforce Development Board. The Raleigh Chamber and WCED look forward to continued growth and partnership with Capital Area Workforce Development.